If you know me, you know I have a slight obsession with Charlie Bird‘s farro salad. Why obsess over a salad, you ask? Because it’s delicious, fresh, intriguing and somewhat guilt-free. This salad helped me appreciate pistachios in a brand new way because YES, it has pistachios! The parmesan shavings on top just add another level of saltiness greatness, making each bite come to life a bit more. I have yet to recreate this salad at home but NYT Cooking and All Day I Eat have some great ideas on how to start! Another Charlie Bird favorite? Their Cacio e Pepe. Creamy but so good, I mean, just look at it! They also have a prix fix lunch menu during the week where you can get a small plate (think: farro salad) AND a pasta for $32. Not super cheap, I know, but it’s worth treating yourself to a nice lunch if you are in the area, especially if it’s a nice day out and you can take advantage of their outdoor seating. The gnocchi is also another solid option. Try starting with the burrata option, another great pick, but NEVER as a substitution to the farro salad. Promise? A while ago I got the chance to meet the great mind behind Komeeda, a community that is passionate about discovering and tasting new food. I remember being immediately sold on the idea and I’ve been happy to see Komeeda keep on growing and evolving from group dinners to the most recent Chef Showdown series. Komeeda, just like me, believes that food makes people come together and through food, we can all have new and exciting experiences. 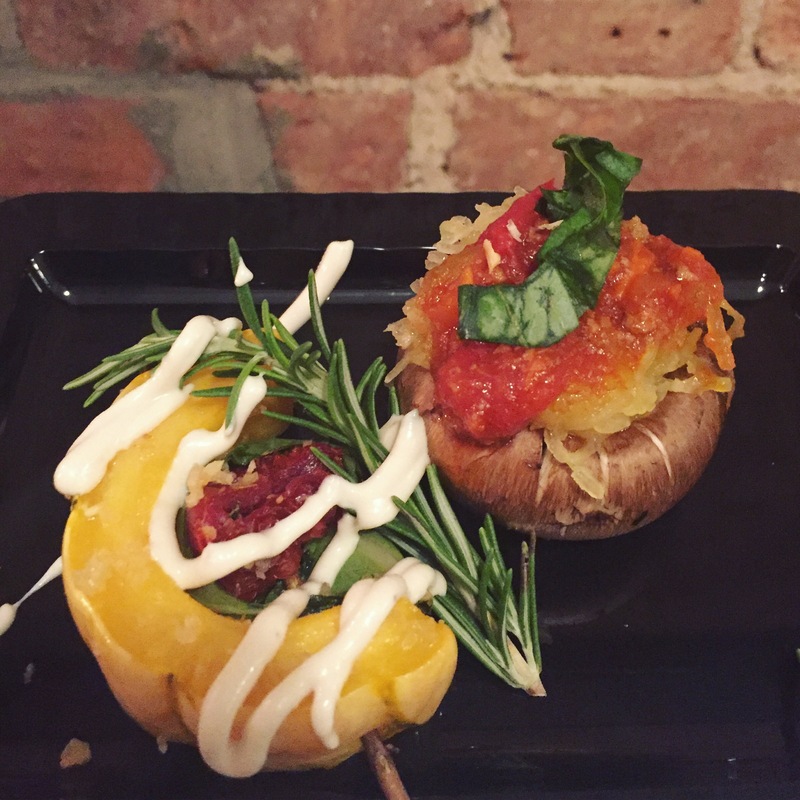 This month, I attended the 3rd Chef Showdown at District CoWork. It was a night buzzing with flavors and excitement as 3 chefs faced each other, providing delightful plates for everyone to taste and judge. My kind of evening, if you ask me. Before even getting to the three main judges, we were welcomed by some delicious treats from the past chef showdown winner, Chef Flo from Eemas Cuisine. 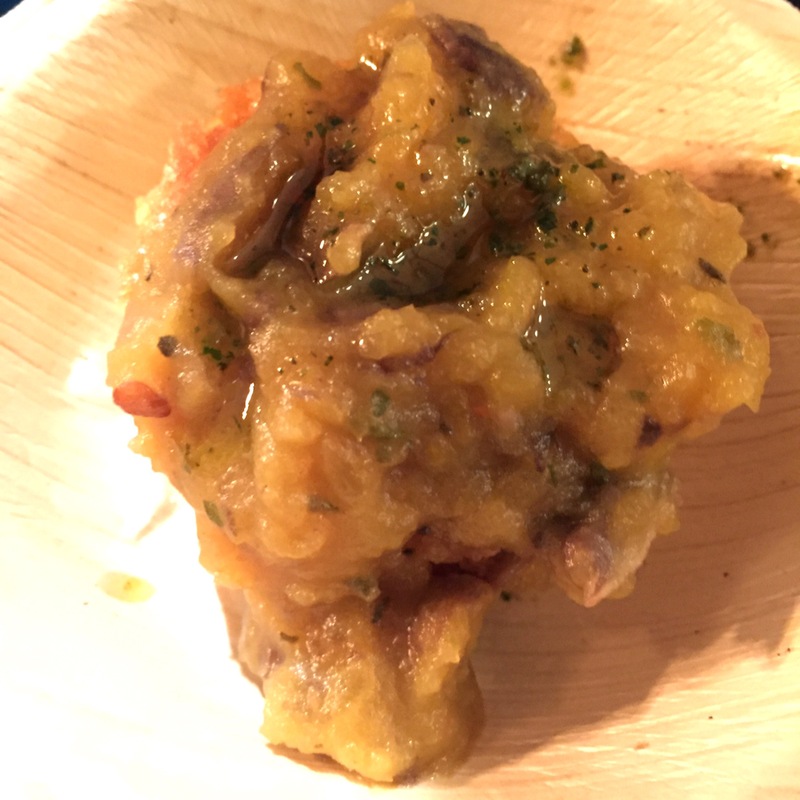 I’m sad I missed his first round of sweet potato & apple gyoza, but his pumpkin & mushroom bolognese on cornbread was delicious, pictured above. Seriously though, that cornbread was on point. I really enjoyed the Hawaiian cuisine twist he brought into the mix. Which makes me thing, I think I want to explore more Hawaiian cuisine, something else to add to my list. Then the action began. The clock started ticking and we were tasked with tasting and judging everyone’s food. First for me was Chef Brandon Walker. 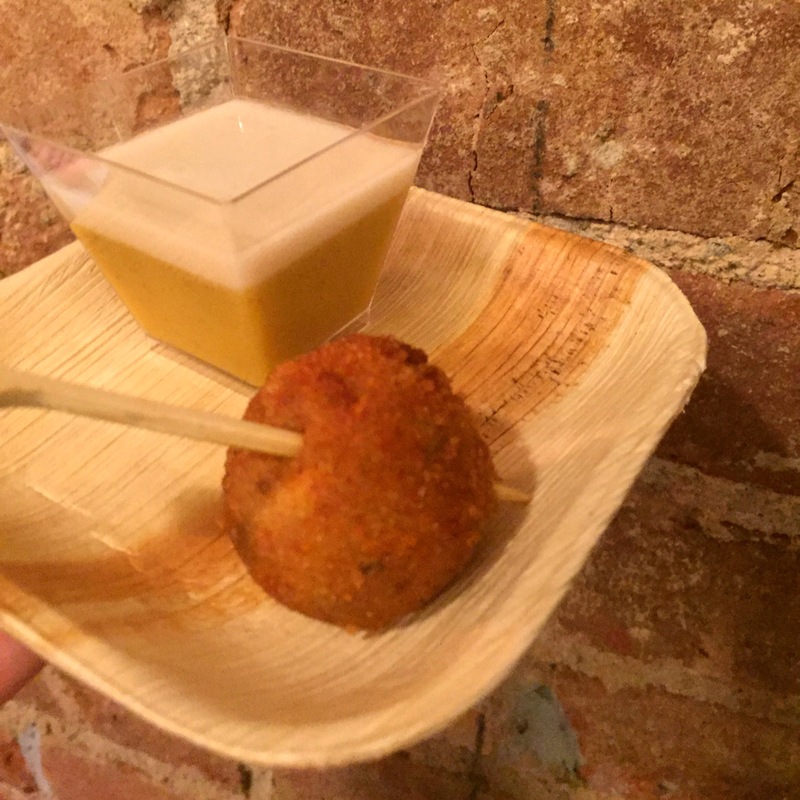 He had a fall squash custard and a turkey confit croquette, pictured above. The croquette was DELICIOUS. I’m used to the classic Spanish croqueta, but I like the twist that Chef Brandon brought into the mix. I could have easily eaten a full plate of those croquettes dipped in a variety of sauces, no problem at all. Next came Chef Amy with her beautiful, colorful plate. As she describes it, she made “delicata delights” for the vegetarian portion of the dish, delicata moons on rosemary skewer sprigs with sun dried tomatoes and collard greens, drizzled in a cashew aioli. For the meat dish, she made “squashta ragu”, baby bella mushroom cap stuffed with spaghetti squash “squashta” with lamb ragu, topped with homemade dehydrated onion crisps and freshly sliced basil. I wish the spaghetti squash with the lamb ragu had been a bigger portion because it was delicious. Last but not least, Chef Paula delighted us with her winning plates. For the meat plate, she prepared a delicious adobo braised porkbelly over pork fat red bliss mashed potato, garlic sautéed spinach topped with adobo sauce and garlic chips. Again, another moment when I wished I could have kept on eating beyond what was on my plate just because it was so good. 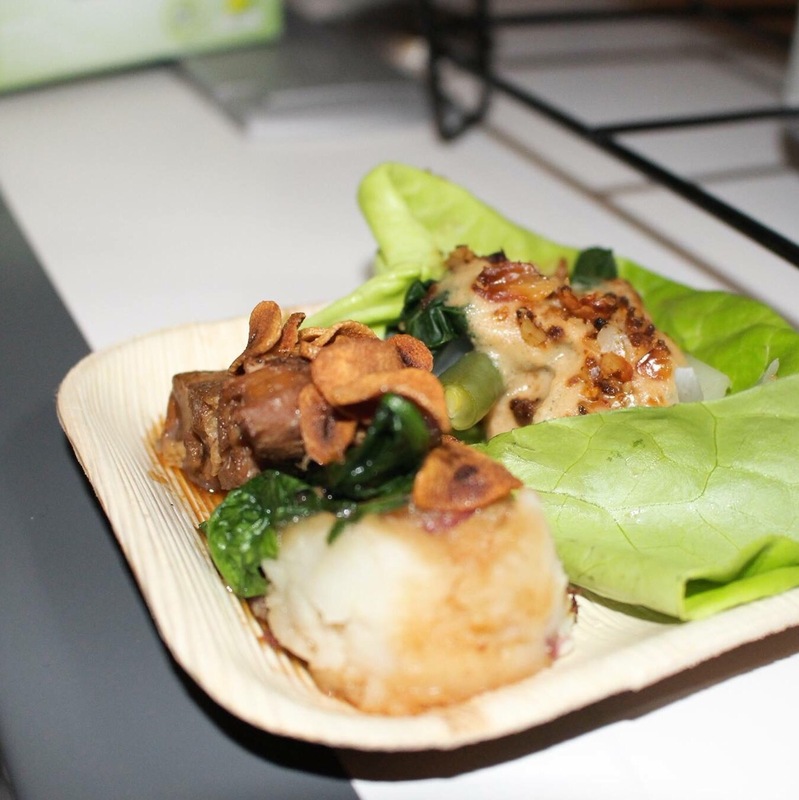 For the vegetarian plate, Chef Paula served Kare-Kare- Japanese eggplant, green beans, baby bok choy and onions on top of bibb lettuce drizzled with peanut sauce and topped with toasted “bagoong” peanuts. All of this was vegan, which to me, is quite impressive! Learned a lot by just reading more on each of the ingredients chosen which is almost as fun as eating the food itself and one of the reasons I like to go to events like this. After a busy tasting session, we got to meet some of the sponsors of the event. I was especially intrigued by The Foodstand, a food community that not only shares good dining spots, but helps you find the freshest ingredients and more. I just joined the community this week and already I have discovered some new great food lovers to follow and new spots to try in the city. 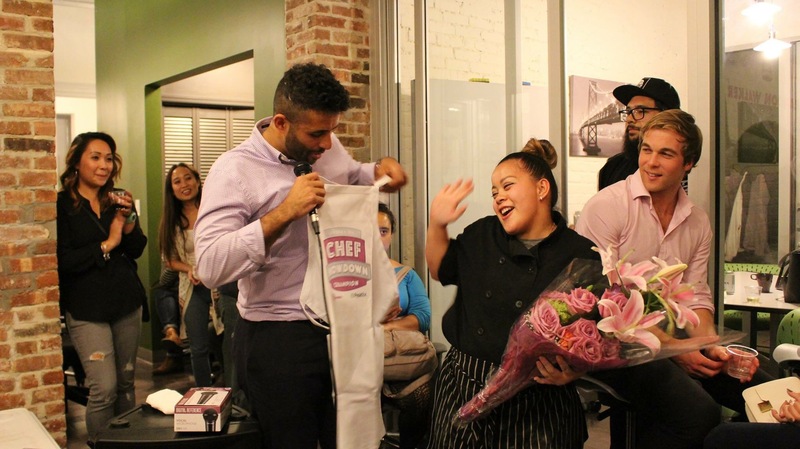 We all got to vote and Chef Paula was crowned the Chef Showdown winner! Seriously, everyone’s plates were flavorful and down right delicious. 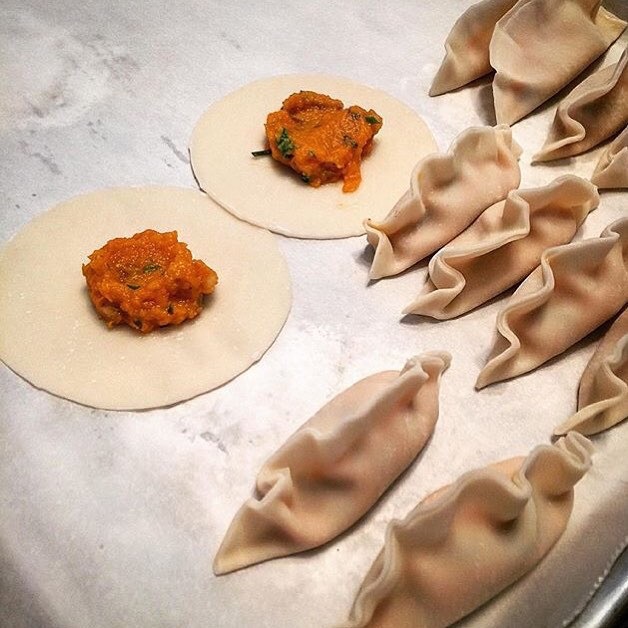 Excited for Komeeda’s next culinary adventure, Friendsgiving! Be sure to follow them on Instagram or Twitter for more information.